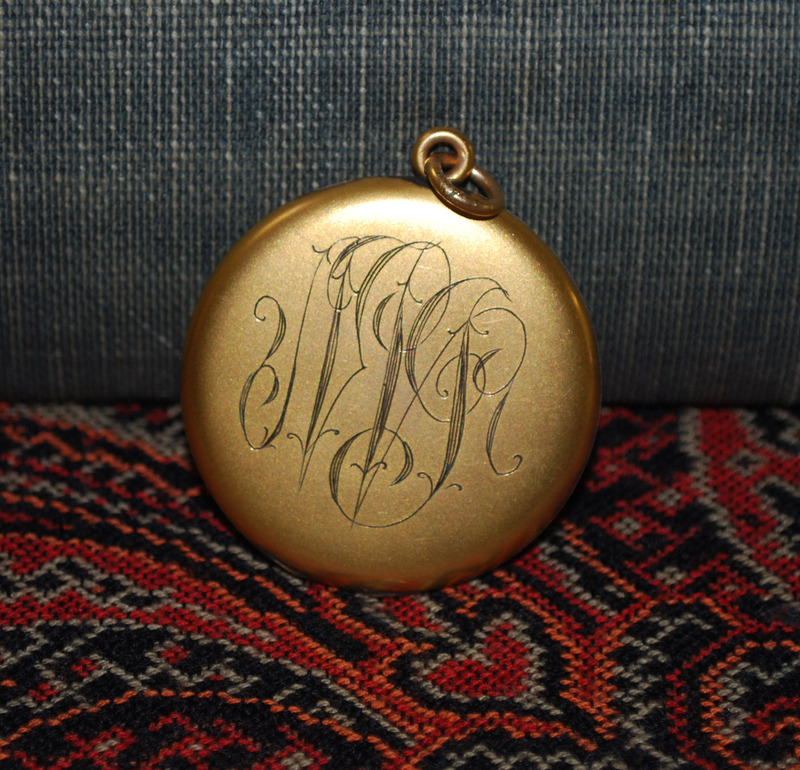 This Victorian locket is one of the “bits and bobs” in my store. I photographed with an antique paisley shawl and my mom’s old college poetry textbook. Store work: I spend a lot of time taking photos, researching items and writing descriptions. I also look at comparable items for sale in several online store venues (Etsy, Ebay, RubyLane) to help me set fair prices. It can be time-consuming and tedious. Offers: I don’t mind when people ask “is this your best price?” but usually it is. I’ve had people ask if I will take “a little” off the price and then suggest a price that is 30-45% less. OUCH! Sometimes an offer comes with a story, “It would be the perfect present for my husband and he would really love this, etc.” I can’t blame folks for trying to get a lower price but I decline most offers and usually don’t enter into negotiating because my profit margin is not big enough. And I remind myself that my shop is not a charity. When someone tells me that $ amount is all they can afford and the item costs $$, then in essence, they can’t afford the item. Shipping: I love the thrill of selling stuff, but reality hits when you have to spend time packing it up and taking it to the post office. Thankfully I now pay for most of my shipping costs online, so I avoid standing in lines at the post office. Tracking expenses: Right now I keep all my receipts for store expenses in a manila folder, but have yet to put them in any organized form. Sigh! I know I need to do this and was reminded of it when I was chatting with Etsy storeowner Chris. He told me that many of his friends don’t factor their expenses into their prices or will buy things with so little profit margin that they aren’t successful. Good words to heed as Chris is very successful! Looking at this list of not-so-fun stuff I think “Why am I doing this? Why not just take up needlepoint?” Then I remember why…because the fun part is soooo fun! Thanks Linda! And of course one of the fun parts of selling stuff is when someone takes the time to let you know he or she loved it!